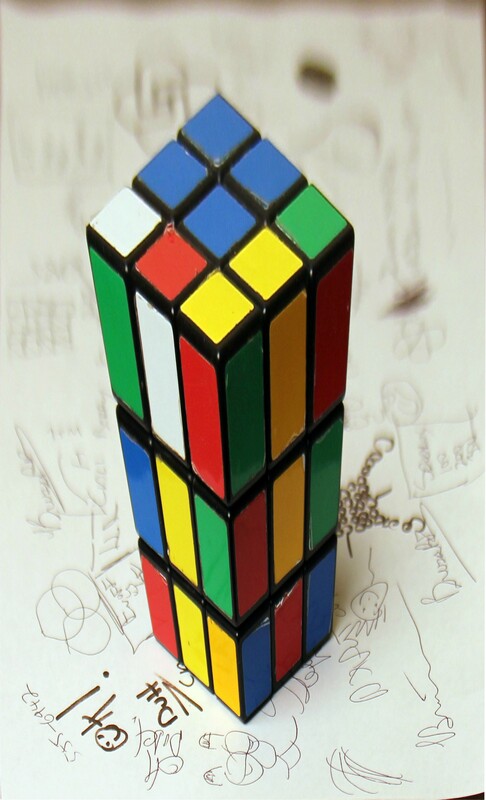 Rubik’s Anamorphic Illusion – It will blow your mind! Rubik’s anamorphic illusion was created by a guy who goes by the name Brusspup on the internet. He has been working on this anamorphic illusion for some time now and we could finally see the result just 2 days ago. He is an artist and a fan of science and if you like his latest video that you can watch below than check out all his other videos under his YouTube account. What Brusspup does is an exercise in anamorphosis, a conjuring trick that takes advantage of how our brains make sense of the world. Once the viewer finds the right angle, the drawing leaps into three dimensions. That’s because in that exact location, the brain is presented with an impossible, contradictory set of inputs that it automatically reassembles into a coherent illusion. According to the artist these are so simple but always so amazing to see. To recreate the video, use this images provided by Brussup. Make sure that the focal point of the lens is pointed at the focal point of the image. It may take several tries, but eventually, you should be able to line them up well enough to recreate the illusion. Good luck!